The formal gardens of Iseli Nursery in Oregon. 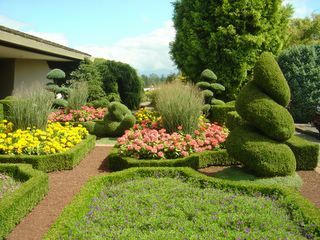 Note the neatness of the boxwoods and the manicured look of the junipers and the natural look of the ornamental grass. This is what landscaping is all about.